Last night I was feeling fairly antisocial. I logged into Rift for a little bit, but was feeling overall meh about the game, especially since I knew the bulk of the guild would be in FFXIV anyways. I still feel bad about the fact that almost all of the Rift guild moved rather abruptly to Final Fantasy… but that just kinda happens with recent games. Since I was not super amped about doing things with people… I decided to run around as a Bard and grind FATEs. I have been working up the class so I could have something dpsy to play when we had too many tanks and not enough other things. 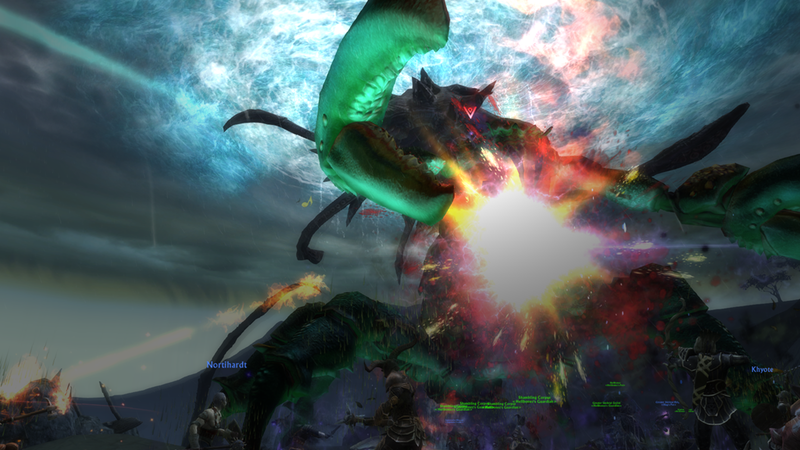 I had originally intended this to be my Dragoon that is sitting at 32…. but as I started to play the Bard it just leveled so much faster. At level 45 in FFXIV you get a series of quests that give you four of the 5 pieces of your archetypal class look armor. This is commonly referred to as the Artifact gear and through the first series of quests you get every slot but your chest piece. 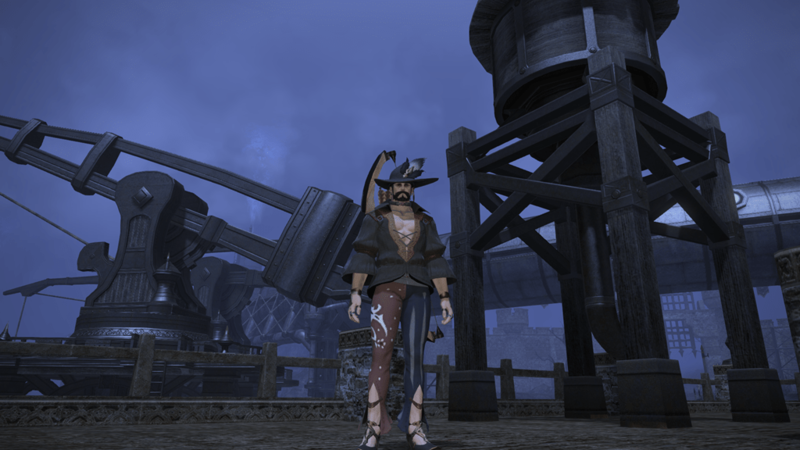 This often leads to some bizarre looks, but honestly I am not sure the bard set COULD look goofier. I am somewhere between a rockstar, a gigolo and a movie style gypsy. In no case does this make me feel epic and awesome… and in the matter of a single quest I went from looking like the Dread Pirate Roberts to David Lee Roth. Vanity Slots to the Rescue? Supposedly there are vanity slots on the way… and they seriously cannot get here soon enough. I am mildly depressed to think I will have to wear a pair of pants that look like they were crafted from a circus tent until then. The above image is the set I loved to wear… Foestriker. This comes from the first three dungeons… and I have been slowly gathering the rest of the pieces of the outfit. Everything about the look seems epic to me… and I felt like the elite archer I was supposed to be. The bard outfit on the other hand looks like I am 5 years old and got to dress myself for the first time. Apparently I am not alone in this assessment, as most of the major forums have at least one “wtf is wrong with the bard gear” thread. Overall most of the other class outfits I have seen have been amazing looking. Dragoon looks like everything you would expect it to be, as does Warrior, and Paladin looks very much like the defensive tank that they are supposed to be. Even Scholar with its quirky “I bought this jacket at an army surplus store” looks pretty cool. So right now the bard outfit seems to be the “Moon Moon” of the crowd. Which is kinda sad… considering just how amazing the bard class as a whole really is. If I knew just had bad I would end up looking… I might have focused on leveling up the dragoon instead. Yesterday it was announced that Final Fantasy XIV A Realm Reborn would soon open up server transfers. In an attempt to reunite friends and loved ones… the first five days of server transfers will be completely free. This is generally an extremely good thing… since there were a few Stalwarts who were not patient enough to play the “get on Cactuar” game that usually involves creating characters at odd hours. The only negative is that if you look at the list below… our realm is specifically flagged as one of the three US realms that are extremely highly congested. As a result… the opening of server transfers may make our server queues even worse. Essentially every night there is a very small queue when we attempt to log into the server, the hope is that even if the queues increase we will never have to go back to using our login macros to get through the sea of 1017 errors. As a guild we would consider moving elsewhere, but it would mean starting over from scratch and moving separately. It feels like they planned this poorly in that they did not offer a guild move option. Currently we have essentially maxed out our guild, and all the frenetic questing of the first few weeks in part is what pushed our level up to where it is now. Without the assistance of the quests… it would likely be far harder to reach. Additionally we have almost maxed out our faction with the Immortal Flames… which means we could consider switching factions and starting the process of leveling our reputation there. So the prospect of having to discard all this progress and start from scratch just does not seem like something we would want to do. We have very few people on other servers, so for the most part it is not a huge ordeal. I imagine that the folks transferring TO Cactuar however will have to do it during off peak hours, which could be a bit tricky since there is only a five day window to get that free transfer in. No word yet has been posted as to when the server transfers will begin. I think this week why I have been so focused on trying to push up the Bard is that I know I will be spending most of my weekend playing Rift. Last week they announced a brand new server event called Mayhem in Mathosia. The goal of the event is in essence to get Rift back to its roots… massive large scale invasion events spanning multiple zones. During the event there will be unique planar drops that include new colors of Hellbug Mount, a unique Kirin, and some cosmetic gear. I want it all… I want it now. So I will likely be spending most of my time over in Rift this weekend and most of next week trying to gather up all the goodies. 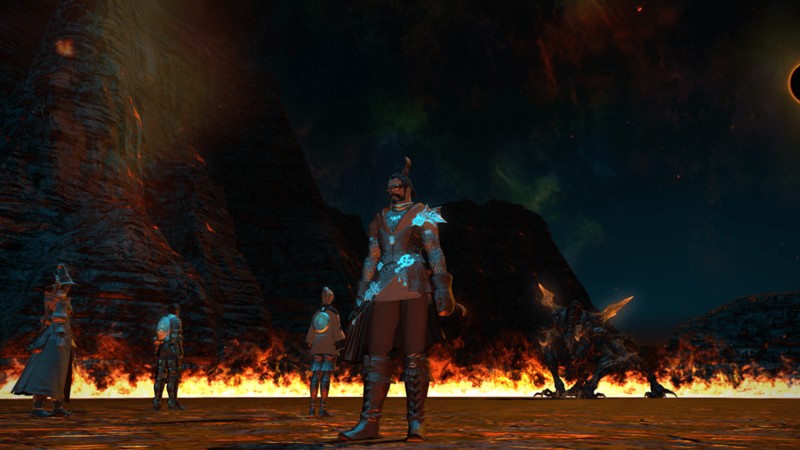 I will of course be popping back into FFXIV if someone needs a high level dungeon run, or to help out with instances as needed. We have been trying our best to be available anytime a guild member is on high center due to needing to do a specific dungeon run. I still would like to get my rogue to level 60… but the 50+ leveling just feels like a tedious process. Which is a bit disturbing considering I am right now playing a game where I am forced to level unaided by quests. By completing enough of the various invasions you can win the unique appearance Hellbug above, so that will be what I am working towards.